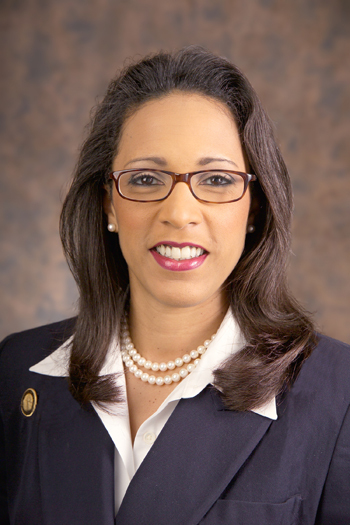 Dawnna Dukes is a ten term member of the Texas House of Representatives and a third generation native of District 46, which comprises inner-city East Austin and Northeast Travis County. Rep. Dukes currently serves as a respected member of the Appropriations Committee, Health and Human Services subcommittee on Appropriations, Select Committee on Federal Sequestration, as well as a member of the Culture, Recreation and Tourism Committee. During Representative Dukes' tenure she has been instrumental in crafting billions of dollars in funding for health and human services and public education. She is a leader who works to ensure that children of Texas, Texans with disabilities and the aging population have continued access to vital health care services and long term care. A strong advocate of adequate health and wellness she has also passed legislation to restore the funding for prevention programs for at risk youth and implemented Texas law to direct the state to apply for a Woman's Medicaid Waiver that expands physical exams, health care screenings and family planning services for low-income women. Representative Dukes has actively worked to strengthen the arts in the state of Texas. She was the prime architect of legislation that is bringing Texas into the forefront of the competitive film industry by providing incentives to certain moving image projects that create jobs and revenue for Texas. Her work in the area of the arts and film have gained her notoriety in field. Representative Dukes was awarded and celebrated at the 2010 Texas Black Film Festival in Dallas. Representative Dukes also received the distinguished 2010 Boyd Vance Award for the Advancement of the Arts. Both of these well-deserving and prestigious honors were earned for her work on film incentives. To add to her many accomplishments, she was recently honored with the 2010 Distinguished Public Service Award by the National Foundation of Black Public Administrators and the 2011 Women Who Do by the George Washington Carver Museum in Austin. ProArts Collective was co-founded in 1993 by Boyd Vance. At its founding the organization was a loose knit group of black actors who came together periodically to mount productions that were significant to African American literature. Pieces like August Wilson’s Ma Rainey’s Black Bottom, A Raisin in the Sun and For Colored Girls who Considered Suicide When the Rainbow is Enough and others. Vance realized that African-American theater artists in Austin needed a more formal organization to provide a schedule of services such as networking, administrative , assistance in mounting productions and a place for other theater companies and film and commercial video producers to cast area Black actors. ProArts Collective became that organization. In 1996 ProArts received its first grant from the Cultural Contracts Program of the City of Austin, the TCA and the NEA. ProArts began a full season of main stage theater productions focusing on the literature of African American dramatic and musical theater. Under Mr. Vance’s artistic leadership ProArts also began to produce and present a full calendar of arts activities, including arts programs in local area schools and an annual African-American dance festival. In 1996 Boyd Vance and State Representative Dawnna Dukes partnered on a black history month project to support and celebrate the African American community and to support and celebrate Huston Tillotson’s role in the community. The African American Community Heritage Festival was born. 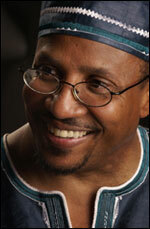 In 2001 Vance founded the African American Arts Technical Resource Center. The center serves as a service organization for individual black and Latino artists and artists living and working in central east Austin. The center serves as the fiscal agent for the African American Community Heritage Festival. Boyd Vance died suddenly in April of 2005 but his legacy lives on in this event.